This product is an industrial wireless relay device of the smallest-in-the-world class based on multiple wireless standards. By that, this product expands a field wireless network, and provides reliable communication. This product has a Duocast function of ISA100.11a standard. 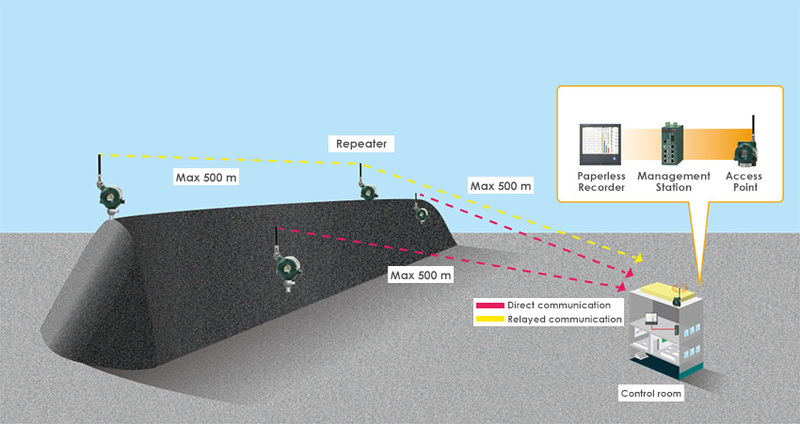 Reliability of the field wireless communication can be enhanced through receiving data simultaneously with two YFGW510s. YFGW520 supports two types of optical fiber communication option, makes it possible to construct a noise resistant and long distance (max 5 km) backbone network by combining with YFGW610. This product requires a wireless LAN access point for connection with YFGW410 in the wireless LAN in field wireless backbone. 2-pole SC connector cannot be used due to the conduit hole size limitation. SC connector should use Short Boot type. 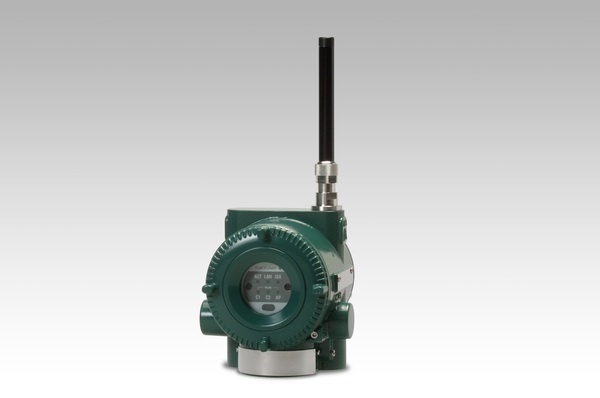 Installation of these multiple product and YFGW410 in one field wireless subnet requires direct connection or the connection via IEEE1588PTP basis products. TCP based custom protocol used for communication between this product and YFGW410. YFGW510 supports only Multimode fiber, and YFGW520 supports two types of optical fiber communication option.